Under the List pull-down menu in Bullets and Numbering, choose New List, and give the list a name. By assigning a list style here, the numbering can continue across stories and even documents in a book. I'm going to add to what I just wrote in another post: Defining and styling a list with only change/find and a nested style. This can be done in one step for a whole manuscript without the PageMaker additions (if the manuscript uses only one character for its bullets). 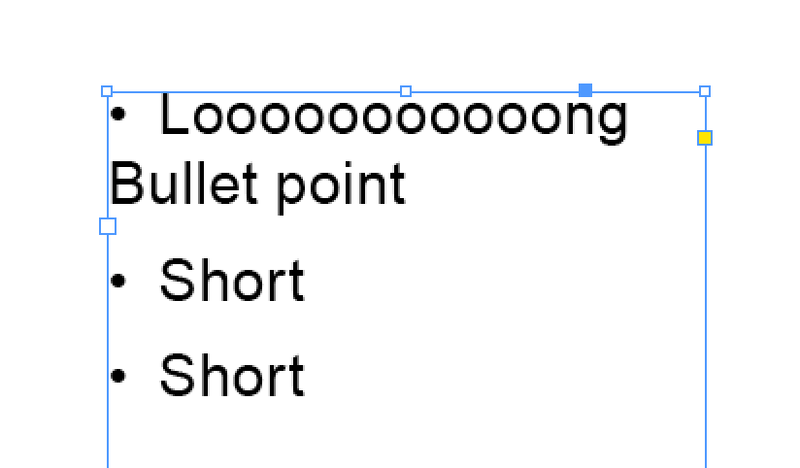 Next to the Character Style text box, click the Arrow button and choose the Big Yellow Bullet character style. New in InDesign CS3, you can apply a character style to your bulleted list. New in InDesign CS3, you can apply a character style to your bulleted list.